Another Democratic presidential candidate, Beto O'Rourke, also weighed in on Trump's comments. 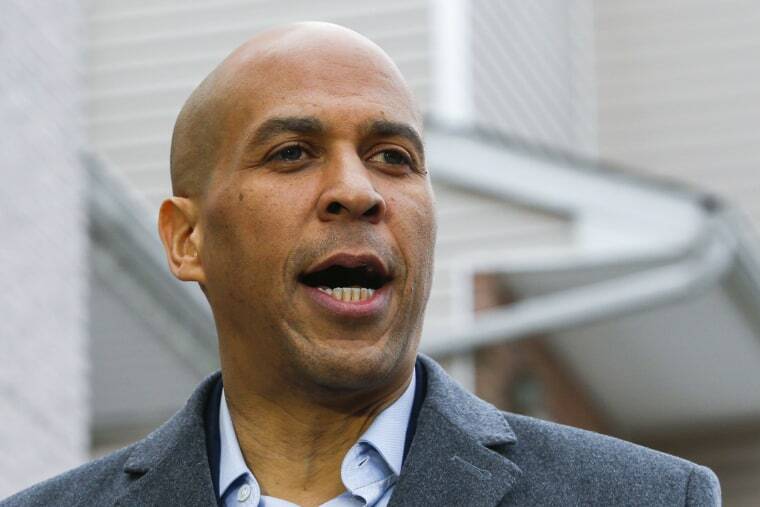 Democratic presidential candidate Cory Booker said in an interview set to air Monday night that President Donald Trump’s rhetoric "hurts people" and is "causing pain and fear." “Racists think he's racist, and his language hurts people,” the New Jersey senator said when asked by MSNBC's "Hardball" host Chris Matthews if he believes Trump is racist. "His language is causing pain and fear. The way he's talking is making people afraid." “We have a president that can’t stand up with any moral authority and remind us that injustice anywhere is a threat to justice everywhere, and it’s despicable,” he added. Booker’s comments come in the wake of the New Zealand mosque massacre on Friday, in which a white supremacist is accused of killing 50 people. The suspected gunman, in a manifesto he apparently released before the shooting, said he supported Trump "as a symbol of renewed white identity and common purpose," although he said he disagreed with his policies. Tonight, Chris Matthews joins democratic presidential contender, Senator Cory Booker on the road in Iowa. Watch Hardball tonight at 7PM Eastern on MSNBC. Trump, who has made inflammatory comments about immigrants, Muslims and white nationalists, condemned the shooting on Friday. But when asked if he believes white nationalist terrorism and violence is a rising concern globally, the president said, "I don't really." He added that he thinks "it's a small group of people that have very, very serious problems." On Monday morning, Trump tweeted: "The Fake News Media is working overtime to blame me for the horrible attack in New Zealand. They will have to work very hard to prove that one. So Ridiculous!" There have been several white nationalist or white supremacist attacks in the U.S. over the past few years, including the massacre of 11 worshippers at a Pittsburgh synagogue last fall and the murder of nine black churchgoers at a congregation in Charleston, South Carolina, in 2015. At a campaign event in Detroit on Monday, Democratic presidential candidate Beto O'Rourke also condemned Trump’s rhetoric. "A president who calls Mexican immigrants rapists and criminals, a president who wants to ban all Muslim travel to the United States of America because, the implication being, Muslims are somehow more dangerous or violent than people of other traditions of faith, a president who calls Klansmen and Nazis and white nationalists 'very fine people' is giving permission to others in this country and around the world to commit acts of hatred," the former Texas congressman said. O’Rourke noted that a mosque in his home state was burned to the ground on the day that Trump signed his Muslim travel ban. Acting White House chief of staff Mick Mulvaney defended Trump during a pair of interviews on the Sunday political talk shows. "You've seen the president stand up for religious liberty, individual liberty," Mulvaney said on "Fox News Sunday." "The president is not a white supremacist. I'm not sure how many times we have to say that. And to simply ask the question, every time something like this happens overseas, or even domestically, to say, 'Oh, my goodness, it must somehow be the president's fault,' speaks to a politicization of everything that I think is undermining sort of the institutions that we have in the country today."